Ever happened to you, that despite integrating a number of features and the functionalities, yet your app fails to get the reviews. Reviews…Do you really need them??? However I have asked two different sets of questions in this post, so for first, the answer is yes, it happens a quite many times, when a mobile app fails to garner the users’ attention despite having the potential, and user prefers to leave no or wrong reviews. For the second question, I would love to ask another question; do I need to tell the relevance of the app reviews??? In a most succinct manner, if I have to answer than I can say that the reviews have the power to drive the optimum result out of your mobile app if done efficiently. Yes, here the term efficiently speaks a volume about the strategies which have to be integrated into the review system, which as a consequence help you achieve the positive spectrum around your app. The performance of your app, the number of relevant features, the right set of technologies and the best it can describe how well your users are getting their requirements met by your app, encourage the number of reviews to be there. Don’t expect a happy ever after fairytale for your mobile app, but sooner you would click on the wrong note, your users would take no time in declaring your app Awful in less than a second. The worst part is that this very ordeal would be addressed through the review section only, which in return, does a large amount of harm in order to destroy the positive future for your app, leaving it with the bleak chances of survival. How terrifying is it, well this very terrifying story can be a part of your app as well, so it is better to kick it away before it hits the deadline. Sooner you would put a full-stop on your fairy-tale ending visualization, you would develop the capacity to find and claim the best solution for your app and its survival. Integration of the technology in your app development process really helps you in tons to craft a seamless and cherishing experience for your users. How Does Technology Can Bring Help? I know this is the most common question popped by the users, that what’s the relation between the technology and the app reviews? The negative and sordid remarks from your app users generally happen out of one aspect; when they fail to receive what they expect to receive. I know the demand of the users is ever increasing, leaving them with an app which only offers the features but creates a personalized experience, which always ends up gaining the nonsense hurled from the users. When was the last time, when you faced a problem with a piece of gadget and nobody was there to LISTEN to your woes? It happens with all of us, when we feel dejected and cheated, on not receiving the optimum reply from the services and we feel GOSH! What is this? This too happens with your mobile app, when your app fails to offer the expected services and no one is there to respond to the users’ pathos. It is a fact, not all of us can be the efficient listeners. The listening is the only aspect which helps your services to cross that bridge of communication and stops you from being declared as inefficient. Now when we know that listening helps and bridges the gap, the next big question comes that do you need manpower 24*7*365 to assess your business success. NO …It is not at all required!!! Yes, it is good news that technology has crossed that thin line of productivity set by the human intelligence, and has replaced it with the AI-enabled chatbots for the optimum use of business. A few years ago, expecting the “conversations” in human languages from machines, was only reduced to robotic experience which was frustrating for the users. But with the advent of technology Machine Learning algorithms, have made it possible for the users to identify whether we are talking to a human or a computer. 40% of large businesses will implement AI-enabled chatbots in some form, or other by the end of 2019. This stat is sufficient to prove that how different businesses and industries are adopting this technology at a faster rate. Yet I would like to tell you a few of the benefits which are related to this technology. With a chatbot, your business services stay available to the users without a blink, leading to better and efficient customer service. Chatbots offer the interactive communication, where the real-time question and the answers are given to the real problems. Customers receive the accurate answers which help them further in their specific buying decisions. You omit the passive customer interaction, rather the proactive interaction is created with the users, letting them know about the new features or the functionalities or the new offers of your business. Needless to say, these aspects give your business an edge over the competitors, wherein your brand always stay ahead of the competition and give a reason to the app users to stay engaged with your app platform. To conclude we can say, that to get the response in faster, is not a luxury anymore, but it is the need of the hour, and if your app fails to give the response to the users quickly then you make your app users grow closer to your competitors. 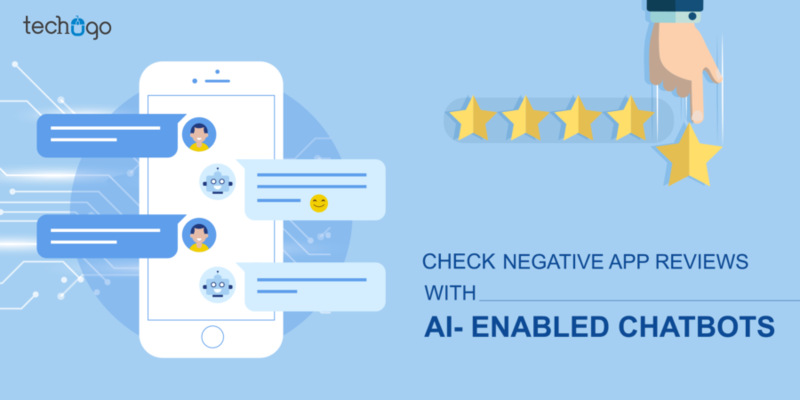 Hence, if you are looking for the ways to offer the phenomenal user-experience to your audience, then you must integrate the chatbots as a MUST aspect in your mobile application. The key to achieving this efficient AI technology is the association with a right and best mobile app development company , which understands your app concept and offers the best technical solution fitting your specific business needs.